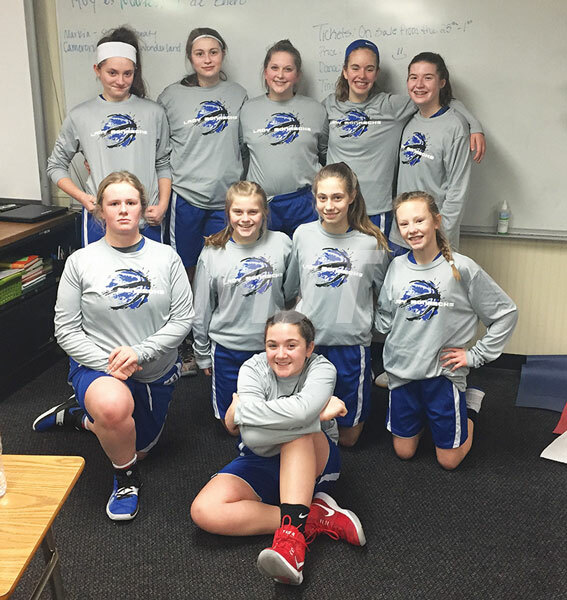 The Bunsold Middle School Red girls hoop squad beat Patriot Academy, 33-8, recently to conclude its season. The Lady Monarchs finished the season with a 14-0 record. Members of the team are (not necessarily pictured in order) McKenna Bolger, Grace Hackett, Reagan Cotner, Sydney Fetherolf, Katie Nichols, Lydia Bustamante, Paige Thallman, Reagan Traucht, Maddie Hansen and Ally Clemente.